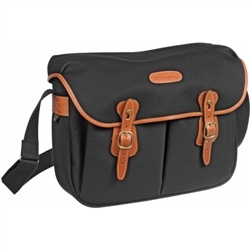 The large Billingham Hadley Shoulder Bag Black with Tan Leather Trim is designed to carry a rangefinder camera, a small digital SLR camera with 3 lenses or a camcorder; all with accessories. 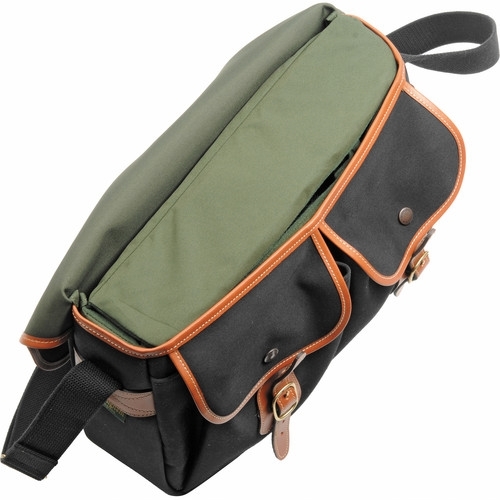 The bag is constructed from StormBlocker dual laminate, waterproof canvas with high-density, closed-cell foam interior. It has a removable insert, which snaps securely into the interior of the bag and the Superflex partition system that includes; 2 large and 2 small dividers. 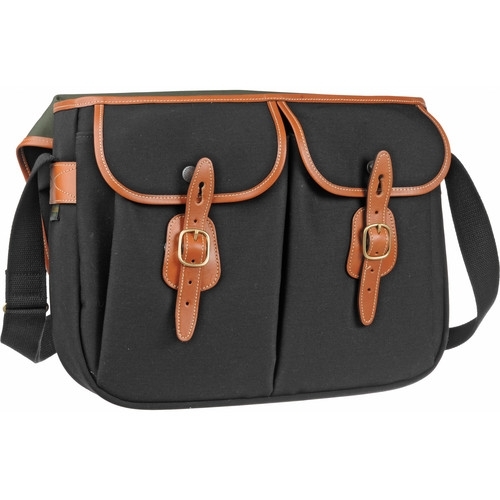 There are bellowed front pockets with buckle adjustments and 2 expandable exterior pockets. 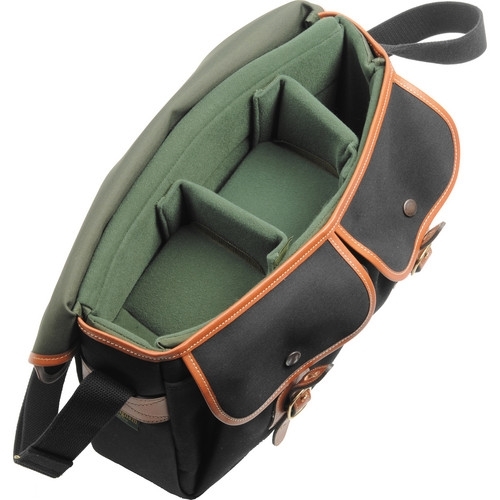 The bag is carried by an attached, adjustable shoulder strap.